What’s most important to your business bottom line – a happy customer or a happy employee? Customers create the profit, so happy customers must be a priority for any business that wants to succeed. But research shows that the most successful companies focus on the happiness of their employees. Can employee recognition incentivise employees, boost work engagement and bring your business to the next level? Analysis of employee incentive programs shows that companies that excel at employee recognition are on average 12 times more likely to generate strong business results. In organisations where employee recognition occurs there is an improvement in employee engagement, productivity and customer service. A culture of recognition is a powerful employee engagement tool. Employees want to be recognised, they like to choose their reward and their preferred rewards are those that have financial value, which makes prepaid gift cards the perfect incentive. Finding ways to create a positive workplace culture and thank your employees will incentivise your staff, improve employee retention, increase productivity and improve performance. Management publication Harvard Business Review cites recognition given for high performance as the most impactful driver of employee engagement. Successful global brands recognise that employee engagement contributes to the success of the company. Apple’s Senior Vice President Angela Ahrendts says, ‘Everyone talks about building a relationship with your customer. I think you build one with your employees first’. Industry analyst Josh Bersin advocates a culture of continuous recognition as a powerful engagement tool. Companies with a high-recognition culture have 31 percent lower voluntary turnover than companies with poor recognition cultures. Building a culture of recognition through social reward systems and regular thankyou activities gives you an opportunity of appreciating everyone in the company. It really does make for happier, more productive employees. Researchers have proven that when you thank someone, it releases oxytocin, a hormone that makes people more relaxed, collaborative and happy. Isn’t being paid for the work you do recognition enough? To keep employees motivated beyond their pay packet, you need to be appreciating, incentivising and recognising your employees for their achievements. As well as promoting a positive atmosphere, social recognition and praise have a big role to play in employee engagement. Gift Programs for Employees – Regular recognition of employee achievements with prepaid gift cards or points gift programs. When an employee goes above and beyond what is expected, they appreciate being recognised. Certificates of Achievement – Highlight achievements such as working on special projects or working extra time to meet a critical deadline. Celebrate the successes at staff meetings and hand out the certificates so that everyone can see how hard each employee has worked to earn this recognition. Certificates can be accompanied by a prepaid gift card as a monetary reward for exceptional achievement. Birthdays – Recognise employee birthdays and encourage a special morning tea or lunch for the celebration. Cards, prepaid cards or birthday flowers are appreciated. Celebrations – Once a month (or quarterly, depending on budget), have a celebration to let your employees know how much you appreciate their hard work and efforts. Expect to see company profits increase with the added recognition of your employees. 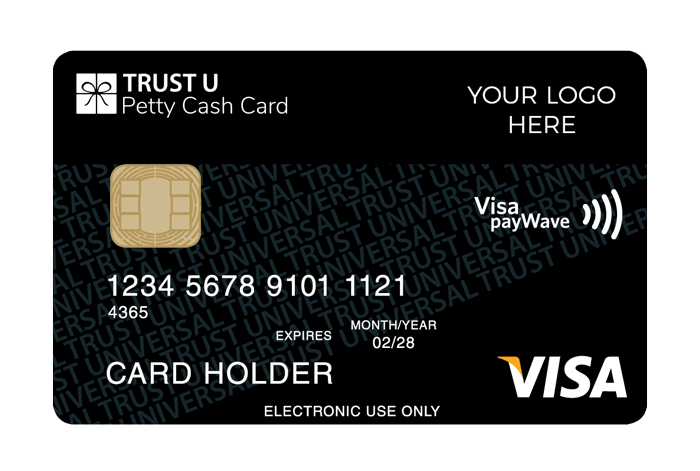 Corporate Prepaid Cards offer custom cards to be designed with your own branding ready for employee recognition programs. Order now for delivery for your corporate functions at end of year. They also offer the convenience of batching small runs of custom cards so once your design is finalised, you can order up to 200 cards to be delivered within 10 business days. Place your order now for end of year events. Cards are presented ready for gifting in convenient card wallets, including details on how to activate the card, check the balance and view transactions online.